Definition: Spread of infection beyond mucoperiosteal lining of middle ear cleft. Though antibiotics decreased the frequency of complications of otitis media, severe complications still occur with high mortality rate. 2- Acute exacerbation on top of CSOM. The overall incidence of all complications of otitis media has decreased since the advent of antimicrobial treatment. For example, in the pre-antibiotic era, the incidence of mastoiditis requiring surgical treatment was 25-50%. Recently patients with otitis media may develop intracranial complication in a rate of 0.36%. The most common extracranial complication is postauricular abscess, and the most common intracranial complications are extradural abscess and meningitis. 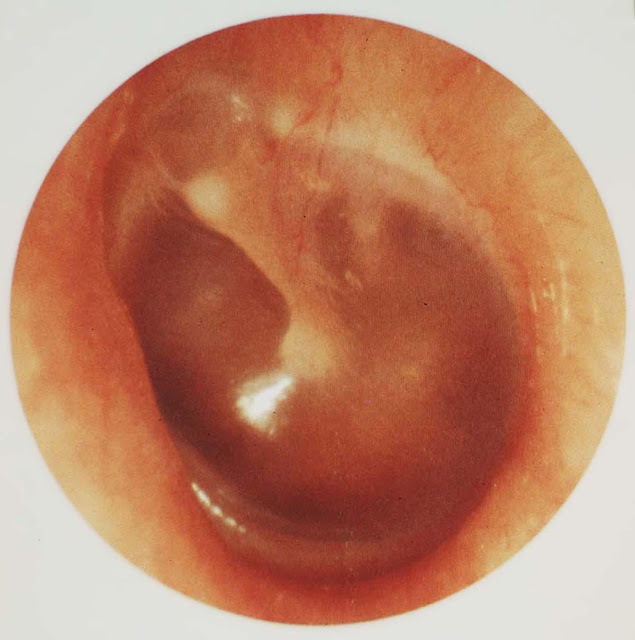 Complications of otitis media occur more commonly in children in their first 2 decades of life. Direct extension i.e bone erosion through de-mineralized bone seen in cholesteatoma. Blood borne spread via the veins, through bone and dura to the venous sinuses. More common in acute infection. Lateral sinus thrombophlebitis causes spread of infection to the cerebellum. a) Natural: round or oval window into the auditory meatus. b) Congenital dehiscence of bony covering over the jugular bulb , tegmen tympani or facial canal. c) Surgical defects e.g. post stapedectomy . a- Mastoiditis b- Petrositis c- Labyrinthitis d- Facial paralysis.